Ideal for lifting and rotating steel discs and plates in positioning and machine loading applications. The disc and plate lifter is a cost effective lifting frame with an integrated permanent lifting magnet which allows you to pick the load from the floor and turn it through 90 degrees for final positioning. Ultralift LM is a cost effective lifting magnet which provides fast and efficient lifting for flat and round section steel. Ultralift LM uses a high intensity neodymium 'rare earth' magnet material resulting in a high power to weight ratio. The material is permanently magnetic, and switching the Ultralift LM on and off is a manual operation, no power is required and it has no operating costs. It can used anywhere - just hook it to your hoist or crane. Ultralift LM comes complete with a safety button which locks the handle in place and prevents accidental release of the load. 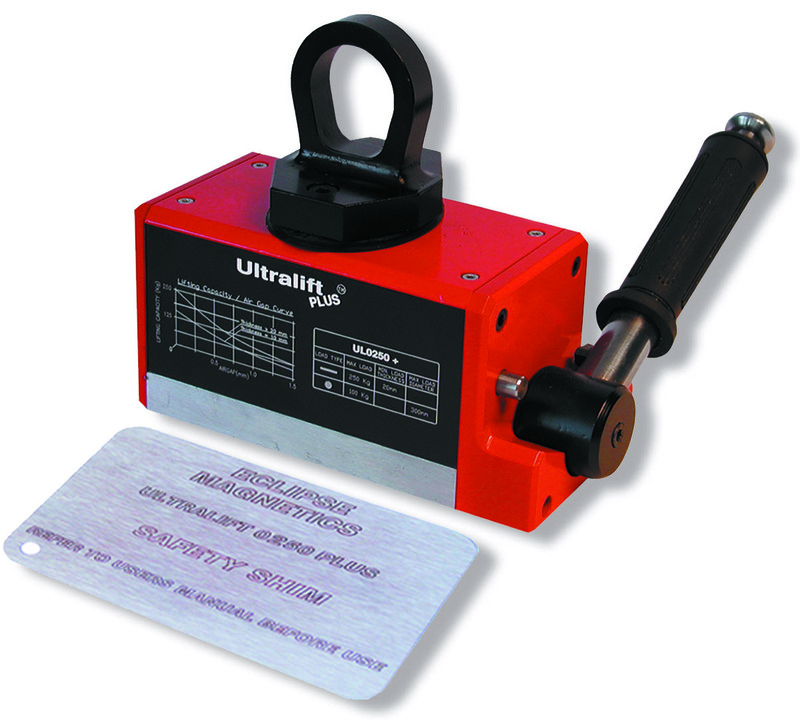 The premier Ultralift Plus lifting magnet provides fast and efficient lifting for a wide range of loads in the factory or workshop environment. As with the the Ultralift LM it is capable of lifting both round and flat section loads. Ultralift Plus uses high intensity neodymium 'rare earth' magnet material for the a high power to weight ratio. The material is permanently magnetic, and switching the Ultralift Plus on and off is a manual operation, so no power is required and it has no operating costs. 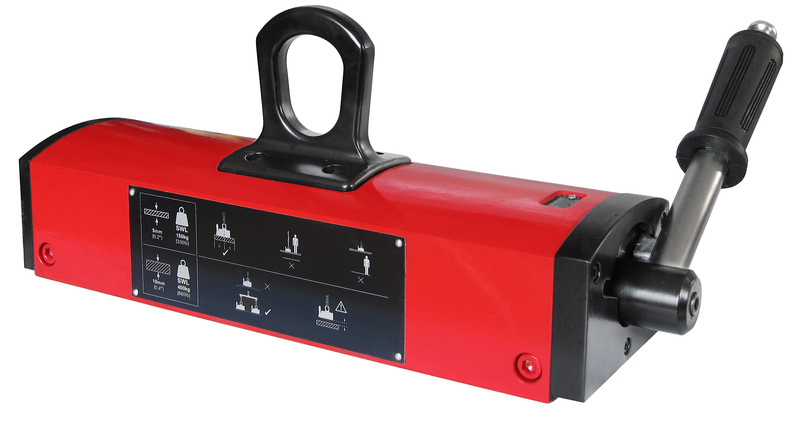 You can use it almost anywhere - just hook it to your hoist or crane. Ultralift Plus is backed by a 3 year warranty. 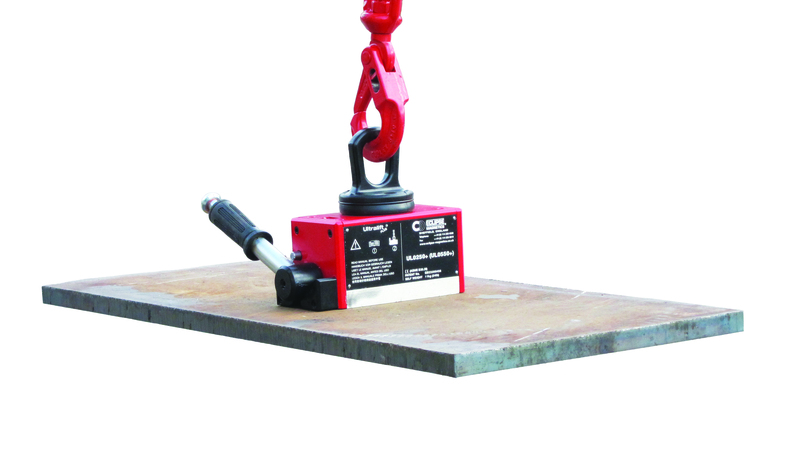 Manually operated permanent lifting magnet specifically designed for lifting thin plate and removing single sheets from a stack. Ultralift TP can lift steel sheets with a thickness as low as 5mm. Ultralift TP has an in built safety button which locks the handle thereby preventing accidental release while a load is being held. 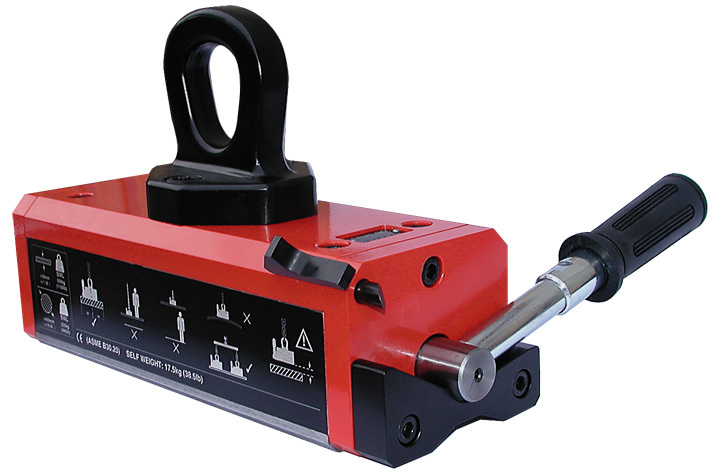 Simply attach the Ultralift TP to the hook of your crane or hoist and you're ready to go. A job that takes two men with hooks, chains or slings can be done with one hand using the Ultralift TP. No more struggling to attach heavy or awkward loads. No more worries about the stability of the load once it's lifted.